A Vegas Girl at Heart: Update! Just wanted to post a brief update. I'm sorry I haven't posted a ton this year, but I'm aiming to get back to it. More on that in a minute. First, this past weekend was CKC in Manchester, and as usual, I attended with my best friend, Shannon. :) It was two glorious days of classes and crafty shopping, and of course, girl time. I also got to meet one of my blog readers, which was really cool! 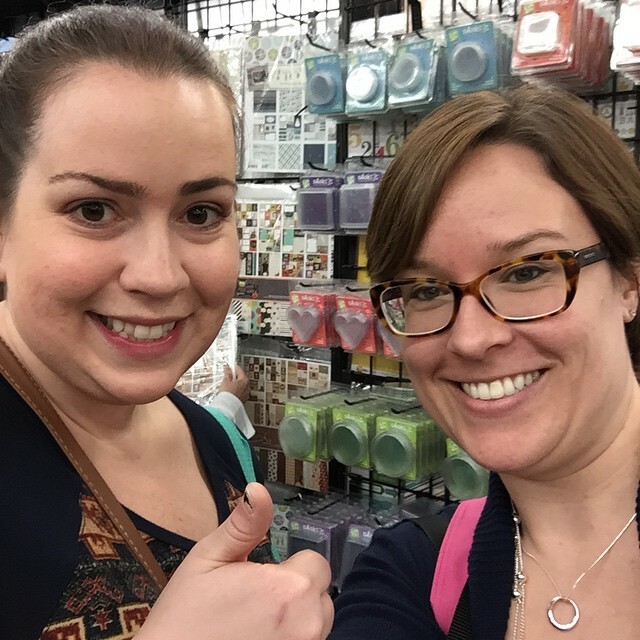 I picked up lots of new stamps and dies and other good crafty things I'm eager to try out. I've also made the decision...I'm not going to continue with daily Project Life. I'm now three months "behind" and the idea of spending the time to catch up on all those pages isn't appealing to me. Nor is the thought of going back to weekly documenting just to keep up. So...I quit. I will still make some pocket layouts, because I enjoy them, but I'm going back to scrapping the special things, and making a photo book for the pictures that don't really need their own page. Phew. That feels...freeing. And since I'm not going to continue with Project Life, that means I have a huge amount of cards to destash soon! I do, however, plan to work on a wedding album, because I picked up the Southern Weddings kit and it is GORGEOUS. I had originally started a wedding pocket album with the Olive Edition but only made the first page, and then got side tracked. I'm eager to start again with the Southern Weddings kit. 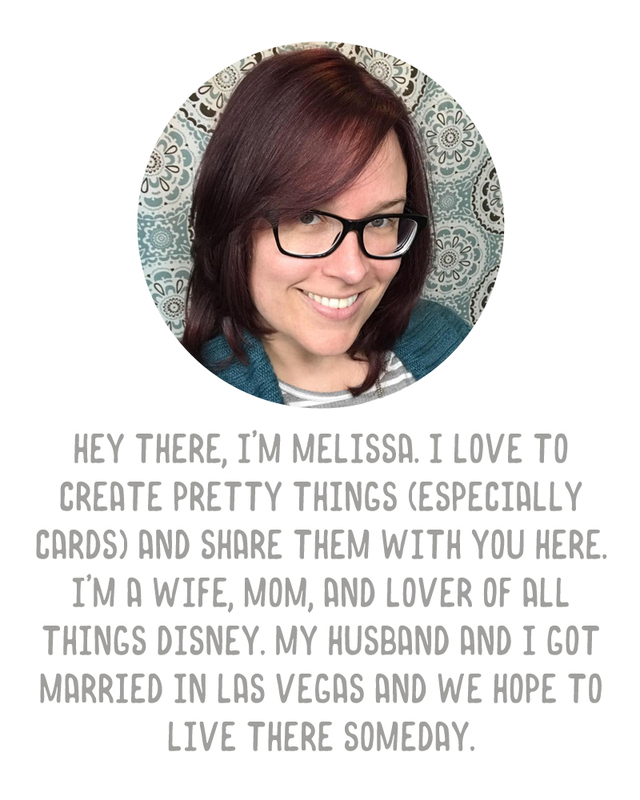 So, given that I'm giving up the daily documenting, I'm aiming to get back into 12x12 layouts, digital pages (which I have found I love even more than physical pages), and card making. Cards are really my favorite thing to make, and I have SO many stamps that I want to play with. I also have found myself with an abundance of supplies like washi tape and embossing folders, so my plan now is to give myself little challenges. (Make ten cards using washi tape, as an example) to use up those supplies and get myself back into my creative mode. I've lost a bit of that because, frankly, I've been spending a ton of time reading. (I'm on my 43rd book of 2015). Since that's a healthy thing to do for my mind, I'm not complaining (much) but I really want to play. So, thanks for hanging in there with me. Crafty stuff is coming (I've got a neat card to share tomorrow, in fact EDIT-I accidentally posted it tonight, so you get it early), I promise! You know how I feel! Its always good to take a break when something starts to feel like a chore and not like fun! Definitely ease the stress a little, and keep reading! :-) You gotta read for the both of us, since I don't!